We’ve got just a few more Christmas in July projects coming to the blog. 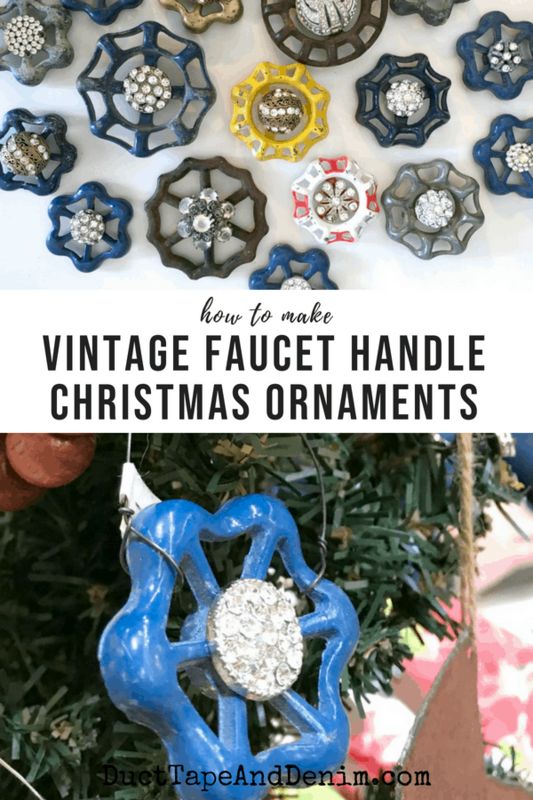 Today I’m sharing a fun Christmas ornament that I’ve been making and selling at local vintage markets for the last few years — Christmas ornaments from faucet handles! These are pretty easy to find at flea markets and garage sales. I love that the handles come in so many colors. Of course, the red handles were the most popular and by the time I remembered to take pictures, they had all sold. 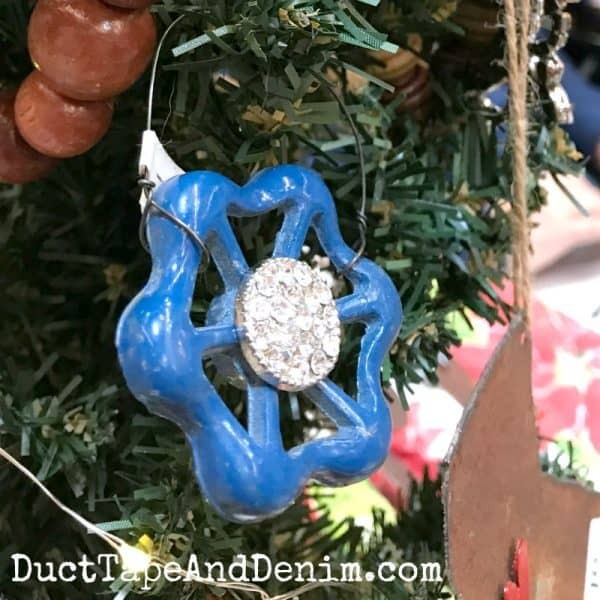 These are really pretty easy… like most of my DIY projects. I used wire that I had leftover from previous projects, various rhinestone buttons and brooches, E6000 glue, and wire cutters. Here’s how I displayed them at The Primitive Barn last year. 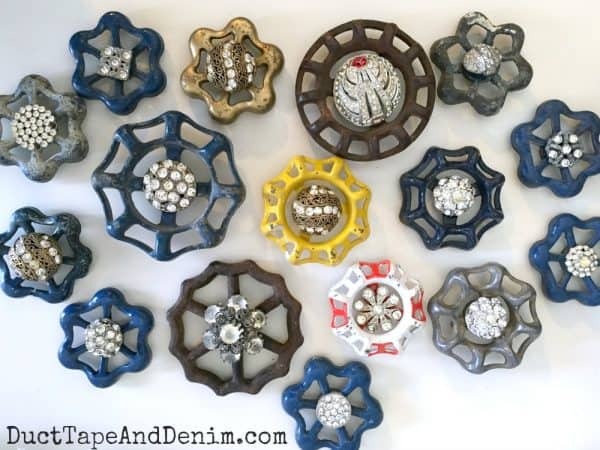 First, I glued all the rhinestone buttons to the centers of the faucet handles and let them dry. Then I wrapped one end of the wire around one side of the handle and the other end around the other side, trimming with my wire cutters. I took a couple of small (2-4′ tall) Christmas trees to my fall shows so I could display all my Christmas ornaments on them. 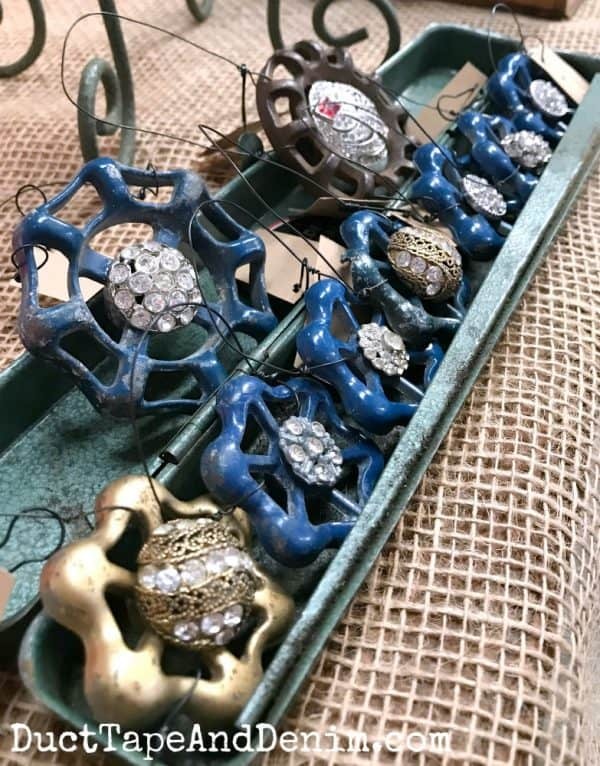 Here’s a quick video so you can see these handle ornaments up close. Thanks for reading! I’d love to know if you try these.